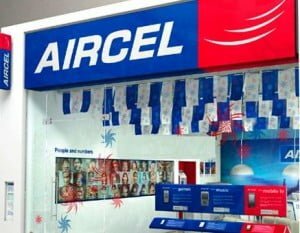 India’s 5th largest GSM service provider AIRCEL has rolls out its 2.5G EDGE enabled GSM Mobile Services in Haryana telecom circle. However according to the official statement from the company, still the services are commercially not launched in Haryana, though they have already listed the tariff plan details and customer care numbers on their official website and Prepaid connections are also available in Yamuna Nagar and Ambala of Harayana circle. We also spoke with Ms. Shalini Sethi Head- Corporate Communications, Aircel Limited and according to her “Aircel GSM services is commercially not launched yet, the testing of GSM network and services are going on. She also said that company is all set to launch GSM services in Haryana and some other telecom circles but till today its not officially launched in Haryana circle. Aircel has its GSM services in 18 telecom circles and Haryana will be 19th circle on the Company’s Pan India operation. Aircel will become the 8th GSM operators in the circle. The Customer care number for Aircel Haryana is 98020-12345 and 121 from Aircel. Aircel entry promises to create some excitement for customers with affordable tariff plans and a claim to be a superior network. With new entrants pouring into the market, Aircel going to launch specially tailored tariff plan for Haryana with telescopic billing to serve lowest Local/STD call charges of 40 paisa per minute. The Life Time Valid prepaid connection is available in Haryana for Rs 49 with Starter Kit and subscriber can choose their suitable plan at Rs.43 and Rs.93 for Per Second Plan with FRC. The operator also introduces Telescopic Billing FRC at Rs.46 and Rs.96 where in subscriber can make local and STD calls as low as 40p per minute. Aircel began its outward expansion in 2005 and met with unprecedented success in the Eastern frontier circles. It emerged a market leader in Assam and in the North Eastern provinces within 18 months of operations. Till today, the company gained a foothold in 18 circles including Chennai, Tamil Nadu, Assam, North East, Orissa, Bihar, Jammu & Kashmir, Himachal Pradesh, West Bengal, Kolkata, Kerala, Andhra Pradesh, Karnataka, Delhi, UP(West), UP(East), Maharashtra & Goa and Mumbai. is aircel connection of bhiwani is roaming free in faridabad?